Twitter-owned short video sharing service Vine released an update for its iPhone app on Wednesday, one that it calls its biggest update yet, with new discovery and sharing opportunities packed in. Version 1.3 of Vine for iOS brings the ability to submit posts to different "channels" within the app. Those channels include Comedy, Art & Experimental, Cats, and more. Users also have the ability to discover new Viners from within the Explore seen, as well as the ability to Revine their favorite clips, posting them to their own activity screens. The update also adds new capture tools, allowing users to shoot with different focus, grid, and ghost options. In addition, users can now create protected accounts, which can be followed and set to be viewed only by user-approved viewers. Version 1.3 contains a number of optimizations and bug fixes, as well. One issue that caused the camera to focus unnecessarily has been fixed, as have a cache control issue and assorted crash fixes. The update also brings a faster search capability for frequently searched hashtags and people. 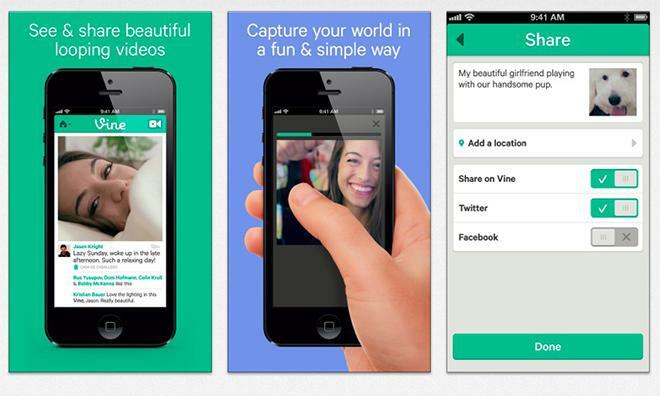 The update comes shortly after Vine gained a major competitor in the form of Video for Instagram. The Facebook-owned Instagram in late June rolled out new video capture capabilities for its 130 million users, giving them the ability to record 15-second videos and share them through their Instagram accounts with assorted filters and built-in image stabilization. In comparison, Vine caps its videos to 6-second bites. Vine for iOS version 1.3 is available as a free download in the iTunes App Store. The 11.9MB download is compatible with the iPhone 3GS and up, third-generation iPod touch and up, and iPads. Devices must be running iOS 5 or higher.